The Ike and Tina Turner Revue was one of the highest energy ensembles on the soul circuit in the late ?60s and early ?70s. Their first hit, ?A Fool in Love,? was recorded in 1961 when another singer failed to show up for a session. After several early ?60s hit R&B singles, including ?It's Gonna Work Out Fine? in 1961, they became major stars in England. A 1971 cover version of John Fogerty's ?Proud Mary? reached No. 4 on the pop chart. Ike and Tina divorced in 1976. TIMELINE November 5, 1931: Ike Turner was born. Their first hit, ?A Fool in Love,? was recorded in 1961 when another singer failed to show up for a session. After several early ?60s hit R&B singles, including ?It's Gonna Work Out Fine? in 1961, they became major stars in England. A 1971 cover version of John Fogerty's ?Proud Mary? reached No. 4 on the pop chart. 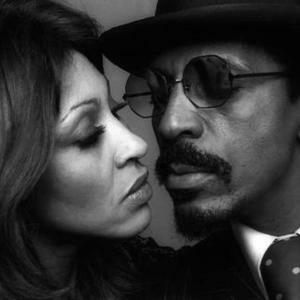 Ike and Tina divorced in 1976. November 5, 1931: Ike Turner was born. November 26, 1939: Tina Turner was born. March 1, 1951: Sam Phillips records ?Rocket 88? with singer Jackie Brenston and Ike Turner's band. for Chess records. This recording is widely considered the first rock and roll record. October 17, 1960: Ike and Tina Turner hit #27 on pop and #3 on R&B with the Sue records single ?A Fool In Love?. September 18, 1961: Ike and Tina Turner #14 on pop and #2 on R&B ?It's Gonna Work Out Fine?. 1961: Ike and Tina Turner hit #4 on the R&B chart and #38 (1/27/62) on the pop chart with ?Poor Fool?. July 2, 1962: After getting hurt during a jump, Jimi Hendrix gets an honorable discharge from the Army. Over the next three years, he will play numerous gigs and studio sessions with such R&B stars as Little Richard, The Isley Brothers, Ike and Tina Turner and Sam Cooke. March 27, 1971: Ike & Tina Turner hit #4 with ?Proud Mary.? November 17, 1973: Ike & Tina Turner hit #22 with ?Nutbush City Limits?.